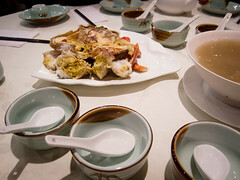 Ba Shu Ren Jia (or Bashu Sichuan) has two locations in the GTA, the original near Pacific Mall and one in Mississauga. My family is big on Sichuan cuisine and have been frequenting the Mississauga location of Ba Shu Ren Jia since they opened. My mom spent part of her childhood in the province and uses a lot of spice in her cooking. We can all handle our heat and I love the peppery (mala 麻辣) flavour. Atmosphere: The decor and interior is a little worn. They haven’t renovated or updated since opening and it shows on the edges of furniture and the photos on the walls. Entries on the menu have been crossed out and new dishes manually written in. I would classify them as a casual to mid-range venue. There’s lots of large tables for bigger groups, but also a quick stop for a family meal. 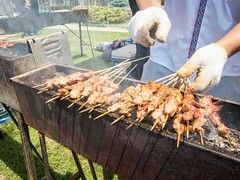 The menu items also range in price point from simple to more complex dishes and all reasonable. Service: To be honest, this is always hit or miss. We’ve had great experiences and not so great ones. 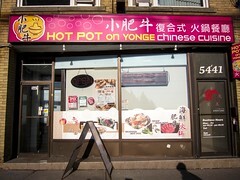 It is slow, they’re usually understaffed especially on holidays during meal times and service is minimal. Like most Chinese restaurants you have to flag someone down to refill tea pots, get the bill and they’ll provide takeout boxes for you to self-pack. None of this is really unexpected and we’ve never had any rude or poor service experiences. It is slow though and be prepared to ask for the service you need. Food: Bashu really shines when it comes to the authenticity of their dishes’ flavours and this is what brings us back visit after visit. The authenticity of the flavours. A few years ago, there was a period where the food had a sweeter flavour profile (to appeal to more customers? ), which was odd so my family took a break from visiting. However, they’ve gone back to the traditional mala spice and it’s a welcome return. We stopped by this year for Mother’s Day and ordered the spicy pork kidney, lamb leg, liang fen (凉粉), oil steamed eggplant, dan dan mian (担担面), la zi ji ding (辣子鸡丁) and fried shui zhu (水煮) fish. 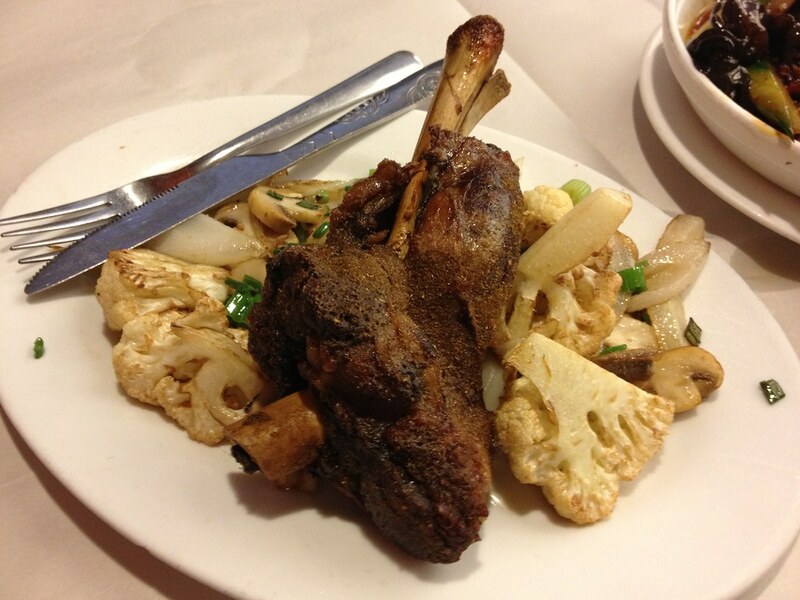 The lamb leg was gamey, tender and fell off the bone. The spice rub really seeped into the meat. 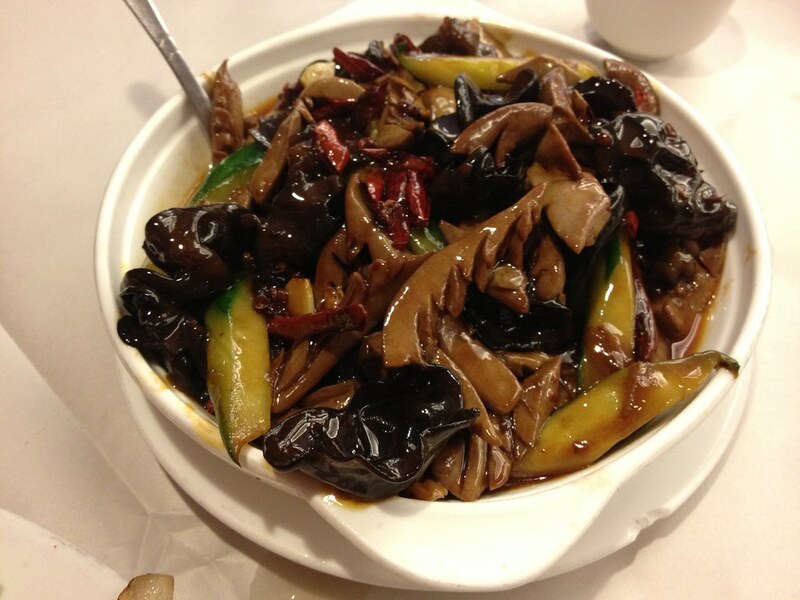 I really like kidney and it’s a lot of work o prepare at home and challenging to not overcook. The dish at Bashu is always cooked to just the right texture, the innard is always cleaned properly and with the right amount of spice. 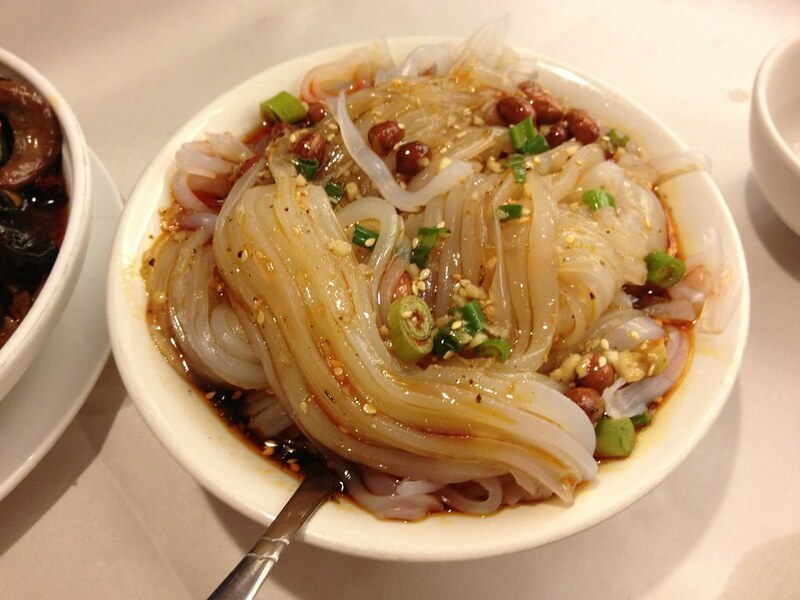 Bashu offers a variety of Sichuan street food/dim sum and we always order the liang fen and dan dan mian. Liang fen is made with green pea powder, forms into a jell-o like texture and is then carved into strands of noodles using a special grater-like tool. The noodles are then mixed with mala spices and oil. The dish is very refreshing and the noodles are a great vessel for flavour. 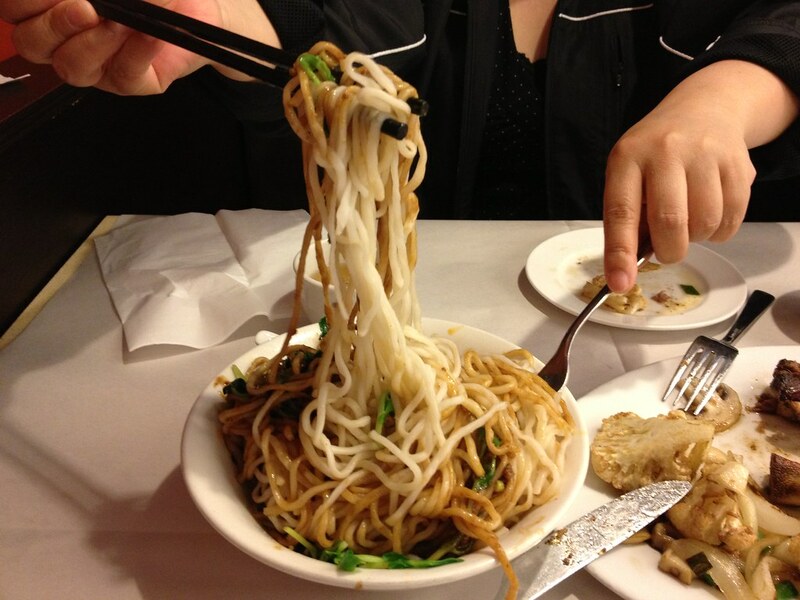 Dan dan mian is cooked somen noodles, topped with a special sauce, fried ground pork and typically pea sprouts. 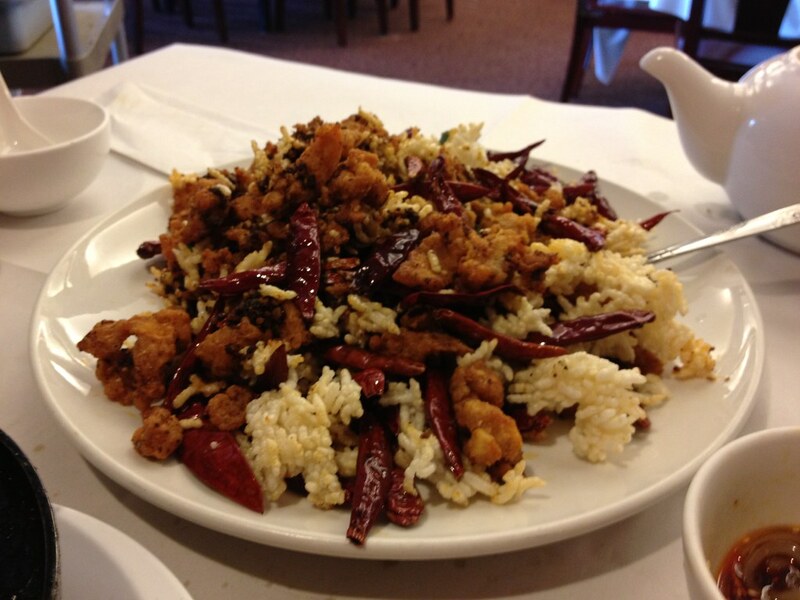 My favourite dish is the la zi ji ding, which is pieces of chicken (with skin) deep fried mixed in with dried peppers and mala spice. It’s amazing and usually a race in my family to search out the pieces of chicken from amongst the peppers. I highly recommend this dish even if spice isn’t your thing. This dish defines savoury. 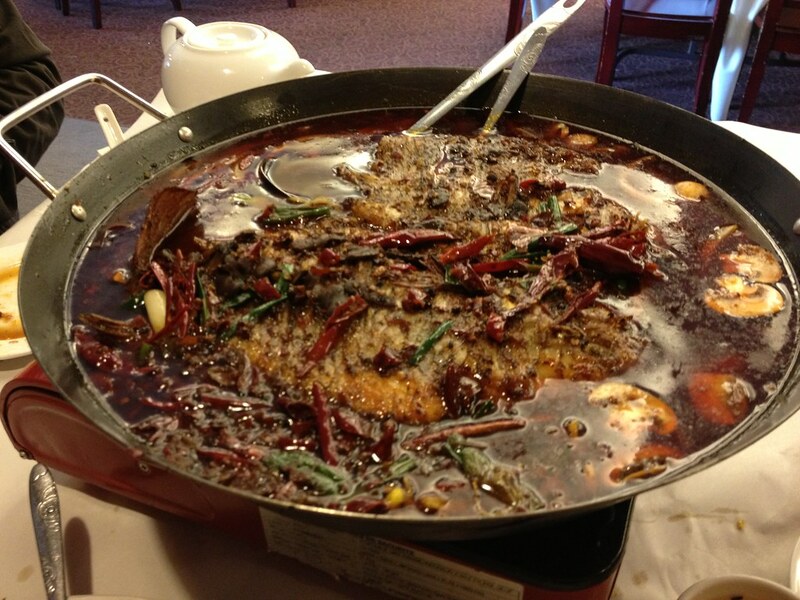 This was our first time ordering the fried shui zhu fish, we usually have the dish with boiled fish fillets. The fish is freshly killed, cleaned, pan fried and then submerged in the spicy oil sauce along with bean sprouts, mushrooms and rice cakes. 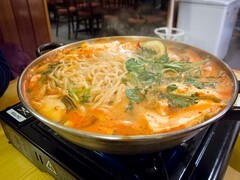 The pan is served on a gas stove that continues to simmer the dish on the table. This was a large dish and took up a food third of our table. 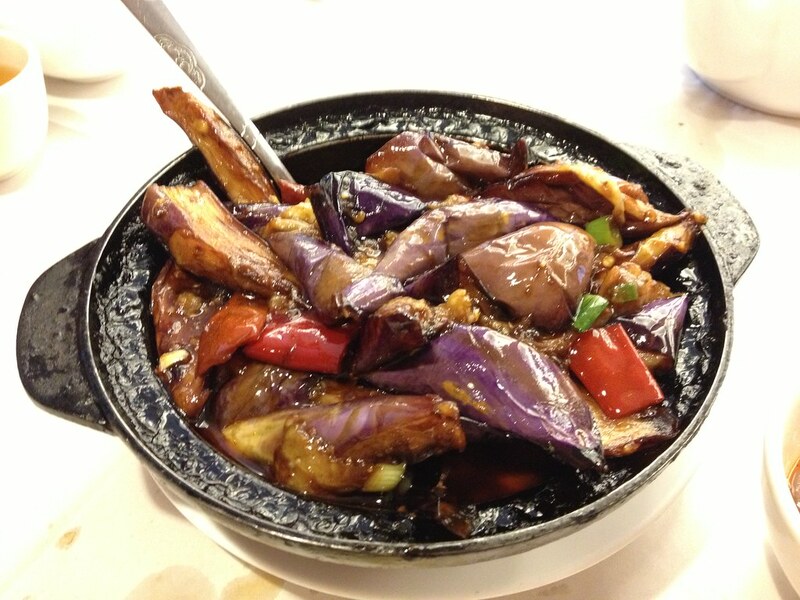 It’s also the spiciest dish we ordered that day and worth every burnt off taste bud. Frying the fish before simmering at a low heat really sealed in the flavour and kept the meat soft. Next time I would order a smaller portion. We only finished half of the fish since it was the last to arrive and we were all pretty full already.